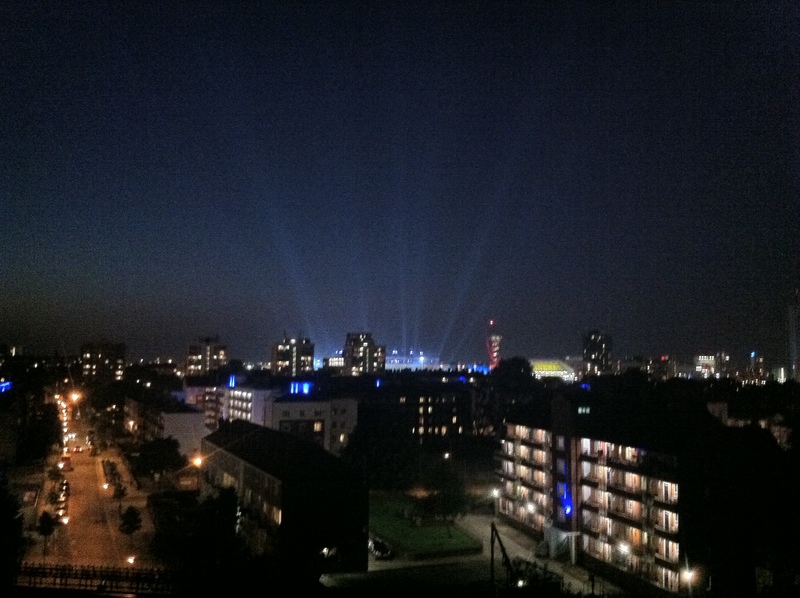 We’re lucky to have an amazing view of the Olympic Stadium, and although we’re both (my flatmate and I) not too interested in the overall Olympics, it’s hard to not get excited when you’re situated in the middle of it all! Last night they were practicing the lighting of the event! They’ve been doing different run through all week. Yesterday we saw someone parachute out of a helicopter, turns out that’s security practicing -gulp- but Claire caught a fireworks display on Tuesday! Exciting stuff!